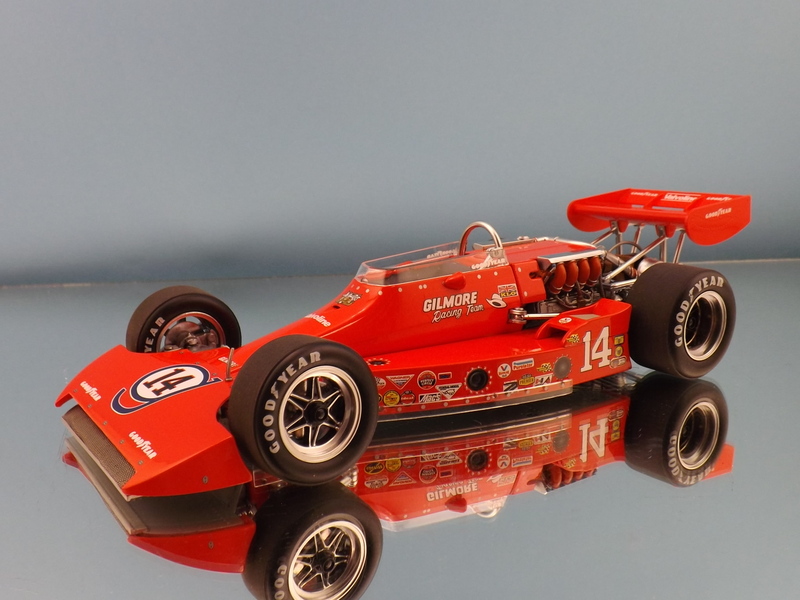 Dan Gurney remains one of the biggest names in open-wheel racing. 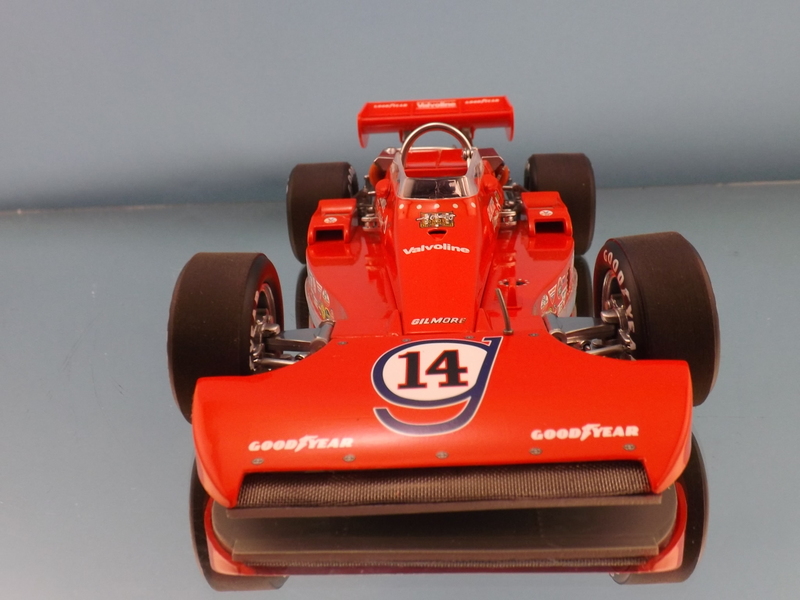 His Eagle race cars dominated the Indianapolis 500 and Indycar circuit in the late 1960s through much of the 1970s, but really set the establishment on its ear starting in 1972. 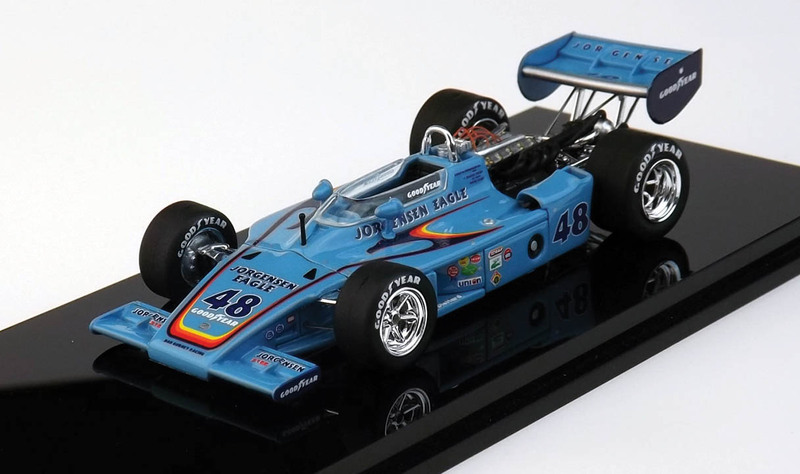 That’s when Bobby Unser debuted the new Eagle with its giant rear spoiler and upped the speed ante to nearly 200 mph by putting his Olsonite Eagle on the pole at 195.8 mph, 3 mph faster than Peter Revson’s McLaren. 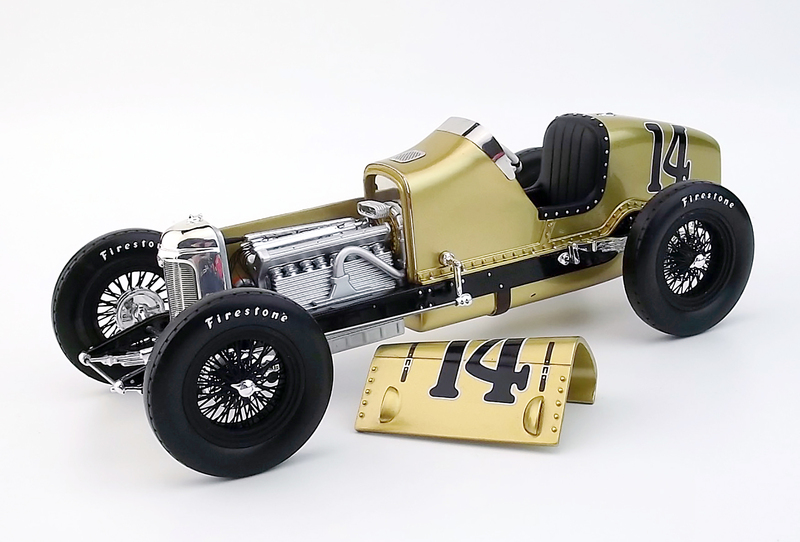 Replicarz, which previously released the 1973 STP Team’s Eagles of winner Gordon Johncock and teammate Swede Savage in 1/18 scale, now delivers three new Eagles in 1/43 scale. 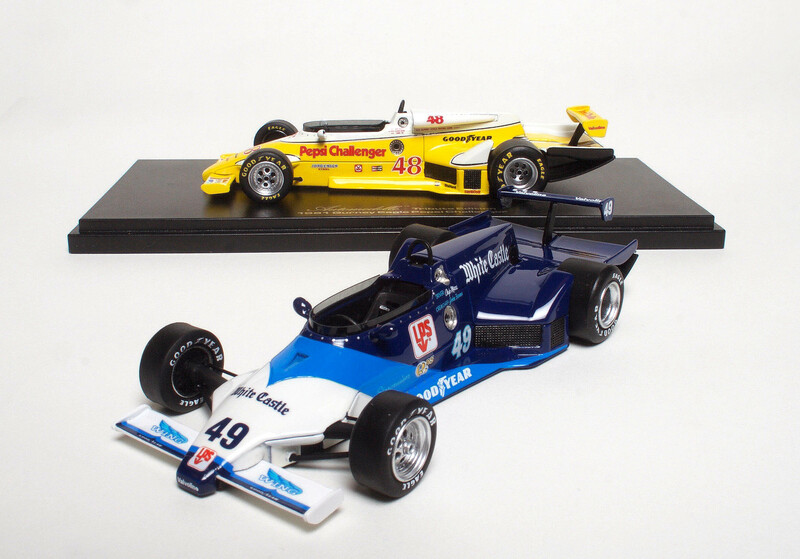 Back is the Johncock car, with just 200 being made, along with limited runs of 300 for both Unser’s white 1972 pole car and 1975 Indy winner, the blue Jorgensen Eagle..
Bobby Unser won Indy in 1968 in a Gurney Eagle, while Gurney himself was second. Gurney would place second and third the next two years, then retire. 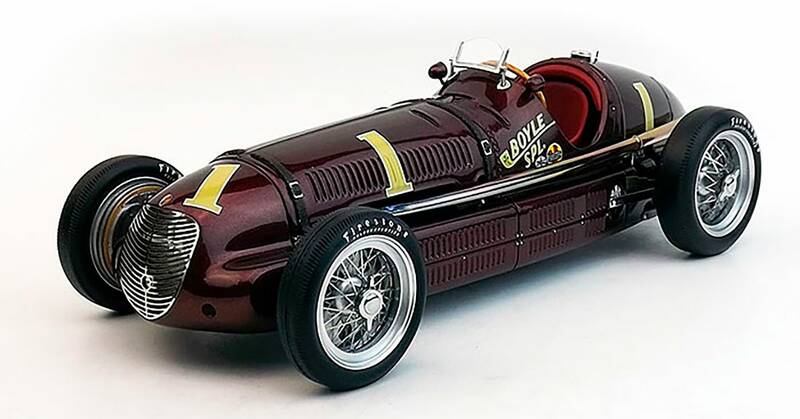 Yet his Eagles, made by All-American Racers in Santa Ana, Calif., soared. 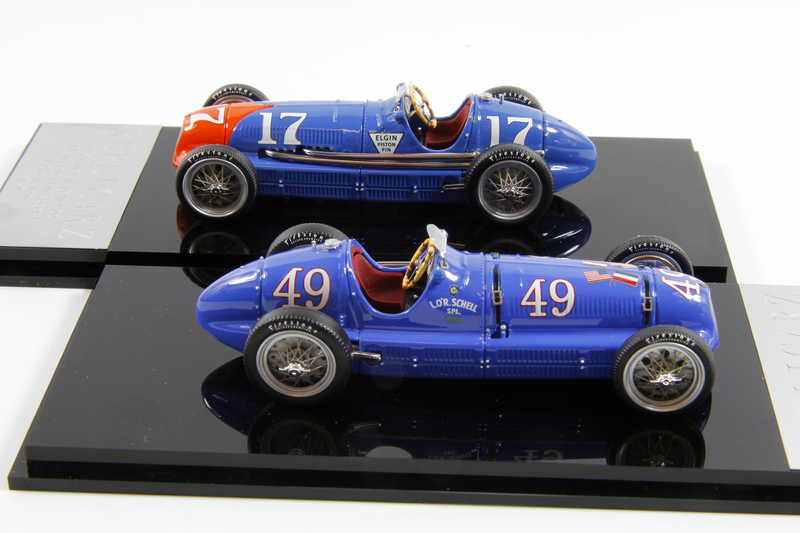 They won 51 Indycar races. 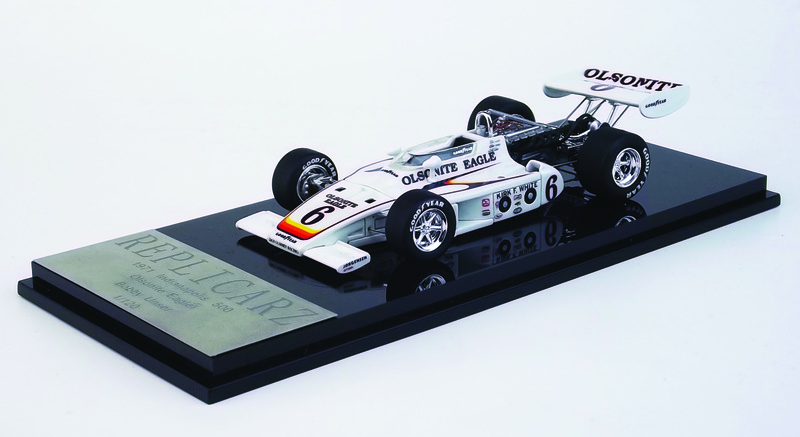 The Olsonite Eagle that Bobby Unser put on the pole in 1972 was the tipping point toward Eagles being the top Indycar of the time. 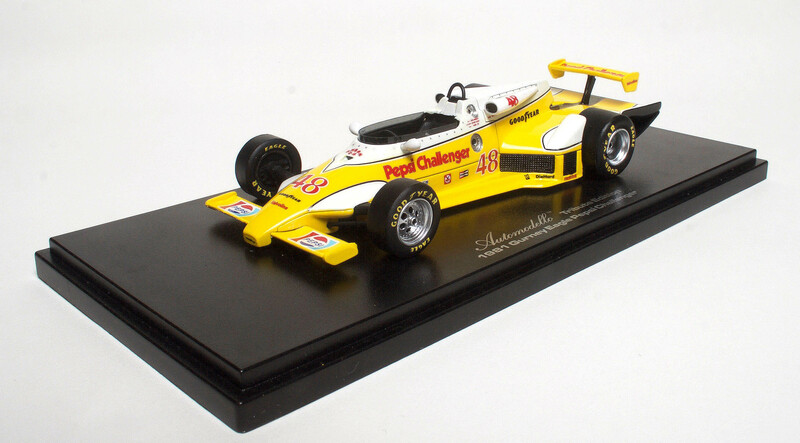 That year it led the first 30 laps of the race before an ignition rotor failed sidelining Unser. He finished 30th. 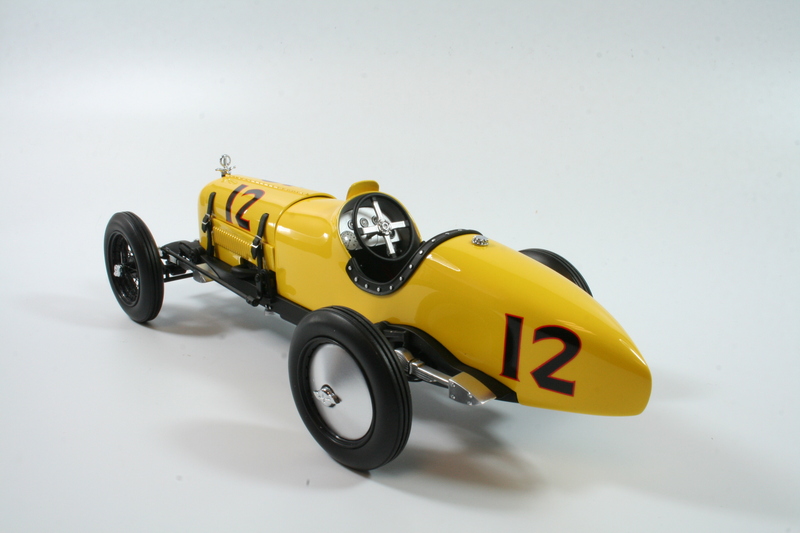 But by the next May, 21 of Indy’s 33 starters drove Eagles, including the winner, Johncock.